Action Plan on Hearing Loss is a national programme to spread good practice. 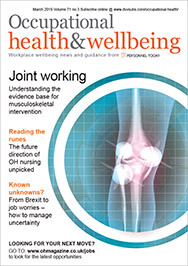 This year NHS England published guidance on hearing loss in employment and is working with occupational health practitioners to encourage good practice at work. Sonia Fleming, programme lead, explains. Hearing loss affects over 10 million adults and 45, 000 children in the UK (WHO, February 2017). This equates to 1 in 6 of the population and has an enormous personal, social and economic impact (WHO, February 2017). By 2031, it is estimated that 14.5 million people in the UK, approximately 20% of the population, will have a hearing loss (WHO, February 2017). The direct cost to the NHS of managing hearing loss is estimated to cost up to £450 million a year (NHS England, March 2015). The implications for hearing loss are widespread, and affect what work people are fit to do, how we age, and our overall wellbeing. Most causes of hearing loss are avoidable, and the World Health Organisation (WHO) has specifically recognised the importance of preventative strategies and interventions to tackle work related, noise-induced hearing loss, in addition to issues related to recreational and environmental noise-induced hearing loss. The prevalence of hearing loss is likely to continue to rise unless concrete steps are taken. In May 2017, the World Health Assembly in Geneva passed a new resolution and action plan for prevention of deafness and hearing loss setting out important actions needed to make progress in dealing with this public health issue. The resolution has called for specific actions which are needed at a country level. These include raising awareness and building political commitment to tackling hearing loss, integrating strategies for ear hearing care in the health system and improving data to implement policy and legislation for prevention. In addition, countries are to improve their access to hearing services and screening programmes, develop human resources for ear and hearing care and encourage other forms of communication. The scale of the challenge requires concerted effort and action from across the system and a wide range of stakeholders within the public, private, professional and voluntary sectors. The NHS has championed a system-wide response to hearing loss aligned with NHS England’s Five Year Forward View. They are considered leaders in collaborative health and social care working in hearing, which has not been demonstrated by any other nation. In March 2015, the Department of Health and NHS England in collaboration with system colleagues and third sector partners jointly published the Action Plan on Hearing Loss (APoHL), which sets out the case for action to tackle the rising prevalence and personal, social and economic costs of uncorrected hearing loss and to address the variation in access and quality of relevant services. The action plan cuts across over NHS England’s priorities outlined in the 2017/18 business plan. The APoHL was co-produced with colleagues from clinical, third sector, industry and government departments. It is aimed at commissioners, Clinical Commissioning Groups (CCGs), General Practitioners (GPs) and healthcare providers. The collaboration between NHS England and system partners over the last three years has produced significant evidence based exemplars of system guidance and good practise that have gained recognition both nationally and internally. The APoHL sets out key objectives across prevention, early diagnosis, integrated person-centered services, increasing independence and ageing well, and good learning outcomes. It recommends ways that services for children, young people, working age and older adults living with hearing loss can be improved. The plan proposes addressing this growing challenge by promoting prevention of hearing loss, improving both the commissioning and integration of services, providing innovative models of care and ensuring that people of all ages with hearing loss are actively supported and empowered to lead the lives they want for themselves and their families in the best possible health, with the aim of reducing inequalities in access to services and the outcomes achieved. To deliver the recommendations in the APoHL, NHS England leads task and finish groups compromising multi-disciplinary experts from professional bodies, governmental agencies, academia, third sector and social care, who are leading on each of the objectives set out in the APoHL. These groups have delivered several key outputs to the system. Throughout 2016-17 the APoHL has continued to influence key programmes involved in improving the identification and management of hearing loss, specifically by integrating with relevant NHS teams such as mental health and dementia, and supporting the Care Quality Commission (CQC) to conduct a valuation of the implementation of their hearing loss guidance for care home inspectors. In addition, the APoHL has worked to increase the evidence base on the benefits of a national screening programme and encourage uptake through undertaking general practice awareness and piloting a referral programme, as well as investing in a programme of research, coordinated with the National Institute for Health Research (NIHR), on the benefits of national screening for hearing loss in adults. In July 2016 the NHS England Action Plan on Hearing Loss published Commissioning Services for People with Hearing Loss – a framework for Clinical Commissioning Groups, which was co-produced with patient groups, service users, hearing loss charities and healthcare providers. This national commissioning framework (NCF) is a guide to help organisations responsible for planning and commissioning local hearing services for deaf people and those with diminishing hearing. It has established what effective commissioning looks like for Clinical Commissioning Groups (CCGs) by encouraging best practice and a more person-centered integrated approach. It also features a range of local commissioning model case studies, feedback on what matters from those experiencing hearing issues and the principles required before commissioning. Three webinars were held in July 2017 to support commissioners with using the NCF and address any queries and concerns. Feedback from commissioners so far has been positive with both commissioners and service providers utilising the framework to model their commissioning and procurement processes. The key guidance from the NCF encourages CCGs to ensure they have a good understanding of the types of services the local population want and need by engaging with their local communities, groups protected under the equality act and local and national voluntary and community sector organisations early in the planning process. This will help secure hearing services that deliver improved outcomes and value. The overall aim of moving towards more outcome focused commissioning is to provide services that have a positive impact on those using them in terms of access, choice, quality and other related outcomes that demonstrate benefits and improvements as a result of any treatment or intervention for the service user. In parallel the National Institute of Health and Care Excellence (NICE) is developing a guideline on the assessment and management of adult-onset hearing loss which is expected to be published in May 2018. The NICE guideline will then be used to develop a quality standard for adult-onset hearing loss which will set evidence based standards that CCGs can use to support commissioning for quality improvement within this framework. Since the publication of the NCF, the APoHL has continued to produce and disseminate guidance to ensure local commissioners protect existing public hearing services and reduce gaps in local service provision. In September 2017, NHS England published a series of ‘What Works’ guides, which were produced in partnership by NHS England, the Department of Work and Pensions, the Department for Education and hearing loss charities. The aim of the guides is to advise organisations, commissioners and providers on how best they can ensure individuals with hearing loss receive the support they need throughout the system across their life-course, so that they can lead successful, fulfilling and independent lives. This guide has been produced in partnership with the Department of Work and Pensions and is specifically aimed at employers to help them support people with hearing loss so that they can work well and contribute their best in the workplace. There are nine million people in England who have a hearing loss and over four million of those people are of working age (Action on Hearing Loss, 2015). This means there are millions of people who are willing and able to work, yet their hearing loss impacts on their employment prospects and can lead to loss of employment and difficulties in finding employment. Employers’ attitudes towards hearing loss can be one of the main reasons why people struggle to find and remain in employment. Evidence from the research indicates that nearly eight out of 10 respondents (79%) report that employer attitudes are the biggest barrier for people with hearing loss in the workplace (Arrowsmith, 2014). Employers have a duty to make reasonable adjustments in the workplace for disabled employees and prospective employees, including people with hearing loss as set out in the Equality Act 2010. This guide provides ‘what works’ suggestions for employers to help them understand the different needs of people with hearing loss, and the impact of the environment in the workplace. People with hearing loss represent a talented and skilled labour resource, but this remains somewhat untapped. To correct this, guidance is offered on how to attract and recruit staff with hearing loss as well as provide continued management support to retain them. This covers everything from job applications, application processes, interviews, equipment, communication techniques and raising awareness throughout the workplace, to ensure those with hearing loss can work to their potential. This guide on the transition to adulthood has been produced by NHS England and the Department for Education and is specifically aimed at organisations that have a role in working with young people with hearing loss through the transition to adulthood, to ensure they receive the right level of provision and support to achieve their ambitions and goals. There are over 41,000 children and young people with hearing loss under the age of 19 in England (CRIDE, 2015) who are capable of leading successful, fulfilling and independent lives given the right support. The transition to adulthood, independent living and employment can be a daunting step for a young person with hearing loss as they leave behind the support they received in education or from their families and the impact on them can be significant. This guide describes the impact of hearing loss on children and young people and why it is important for those working with young people to be aware of this. It targets local authorities, education providers and commissioners to make them aware of their responsibilities in relation to the Special Educational Needs and Disability Code of Practice. The guide gives guidance on the critical factors necessary for successful transition and what works in practice, including case studies and signposting to further resources. The guide on hearing loss and healthy ageing is specifically aimed at commissioners and medical and social care providers working with older people with hearing loss to support them in maintaining health, wellbeing and independence. Hearing loss is a major but often unrecognised long term condition and is the leading cause of years lived with disability for those over 70 (Vos, T. et al, 2015). With people living longer, the ageing population is growing and many will have other long term conditions. Hearing loss is also associated with an increase in other chronic health conditions, including diabetes, stroke and sight loss (Gopinath et al., 2009). It also presents a greater risk of falls (Lin, F. et al., 2012), more visits to healthcare professionals and impacts individuals’ mental health and wellbeing. This guide describes the impact of hearing loss on healthy ageing and why it is important for those working with older people to be aware of this. CCGs have statutory duties under the Health and Social Care Act 2012 to have regard to reduce health inequalities and to advance equality under the Equality Act (2010). This guide reminds commissioners and providers relevant to the provision of care for older people with hearing loss of their responsibilities and provides useful advice and tips for care providers of older people to promote effective hearing and communication management, including case studies and sign posting to further resources. The Action Plan on Hearing Loss and the associated outputs provide important guidance which can be used in occupational health in assessing the hearing wellness of employees. 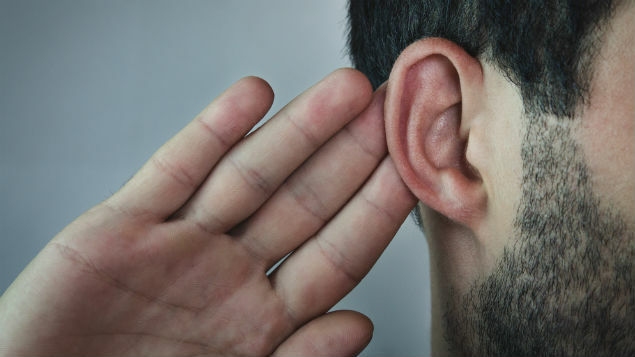 It is vital that employers are aware of their legal responsibilities to look after the health of staff and ensure those with hearing loss are adequately supported at work. Looking after the health of employees helps them reach their full potential and maximises their contribution to the organisation. The Control of Noise at Work Regulations 2005 set out the full programme of the employer’s duty to ensure that action is taken to eliminate risks from noise exposure wherever it is practicable to do so, and not to expose anyone above certain noise limits. The Management of Health and Safety Regulations 1999 set out the need to undertake a risk assessment. This would apply for those who have reduced hearing, especially where individuals may have difficulty communicating or hearing alarm bells. Under the Equality Act 2010 employers have a duty to make reasonable adjustments to the workplace to help enable those with disabilities to continue working. Some industries stipulate the need for employees to demonstrate a particular level of hearing ability. These include work where there is a direct impact upon their safety and that of colleagues and the general public such as the police, fire service, and the armed services. In these occupations there is a fitness level that must be reached with levels of hearing regardless of the cause of the hearing loss. It can be daunting to recruit a person with hearing loss if you have never done so before. There may be concerns about communication, the support the person might need, or health and safety in the workplace. The ‘What Works Guide – Hearing Loss and Employment’ provides some useful tips and advice employers can consider in employing people with hearing loss. Evidence from the research indicates that nearly eight out of 10 respondents (79%) report that employer attitudes are the biggest barrier for people with hearing loss in the workplace (Arrowsmith, 2014). The perspective of employers is largely based on a lack of confidence to hire people with hearing loss, a perceived lack of information and advice available on employing people with hearing loss and lack of preparation to address the issue of the ageing workforce. In addition, there are many myths surrounding employing people with hearing loss. Guidance is available which will help dispel these myths and give employers the confidence to employ people who have hearing loss and to support employees who may be affected. It is important to understand that hearing loss covers a broad range of people whose needs can vary widely, as this may depend on the type or level of hearing loss. A person who is profoundly deaf could use British Sign Language (BSL) to communicate and will need different support from a person who uses hearing aids and verbal communication. They, again, will have different needs from a person with mild hearing loss who does not need to use hearing aids. Hearing loss can occur for a variety of reasons, including ageing, diseases of the ear, hereditary factors and exposure to loud noise. Hearing loss can also be accompanied by tinnitus, unwanted/nuisance noise in the ear which can mask warning bells, alarms or conversations in the workplace. Some types of hearing loss are permanent and incurable; others vary in effect, may be worsened by further noise exposure, and are difficult to measure. Employers also have a higher duty of care for individuals with only one functioning ear, and they may need to be excluded from certain jobs where there is an obvious risk of damage to the ‘good’ ear. Noise-induced hearing loss is generally considered stable. As a result, exposure to noise should cause no further problems so long as adequate hearing protection is used to ensure that the employee is not exposed to damaging levels of noise. However, exposure to noise should be avoided altogether if a person’s hearing ability is such that any further loss would reduce their hearing to an unacceptable or dangerous level. This can be important if the employee already has poor hearing from a non-noise related hearing loss. If hearing impairment does not cause risks to the health and safety of the individual or others, there is no need to exclude the person from working in high levels of noise. Employers should provide properly selected and fitted hearing protectors and adequate training on using them, and should inform employees of the importance of wearing protection, and when to do so. Employees who already have hearing impairment and continue to work in noise should be monitored more frequently to ensure the noise exposure is not causing more hearing loss. The ‘What Works Guide – Hearing Loss and Employment’ signposts employers to further information and resources to support those with hearing loss in the workplace. Access to Work is a government scheme which can provide practical advice and financial support for individuals whose health or disability, including mental health conditions, affects the way they do their job. The type of support is tailored to an individual’s needs and can include travel to work, support workers and specialist aids and equipment. For those with hearing loss, Access to Work could help fund communication support and equipment necessary to provide equal access in the workplace, as well as interviews. This can include the cost of communication professionals such as interpreters, and safety equipment like pagers and flashing light fire alarms. In cases where the employer and employee are unsure as to what support is required, a work-based assessment can be requested. The assessments offer practical advice on what equipment, support and reasonable adjustments can be made to support staff. These are normally provided and paid for by Access to Work. Employers can also commit to the government scheme “Disability Confident”, which has the aim of giving employers the confidence to employ disabled people and ensure they can work to their potential. Disability Confident gives employers will have access to information on employing people with disabilities. The stakeholders to this action plan include the Department of Health, NHS England, Public Health England and other Government Departments and stakeholders within the hearing loss community. They are intent on making progress on all the stated objectives and actions. The Department of Health, NHS England and Public Health England will continue to engage across government and with stakeholders within the hearing loss community to facilitate continued action and to regularly review progress on an annual basis. This should help ensure high quality care for children, young people, working age adults and older people with hearing loss and enable them to achieve their hearing potential to maintain physical and psychological health, wellbeing and to achieve their potential. NHS England would also like to thank all the patients, professionals and organisations who have given their time, experience and knowledge to make the APoHL credible and compelling. Sonia Fleming is programme lead for Action Plan on Hearing Loss. Action on Hearing Loss 2015 Hearing Matters. Archbold, S., Lamb, B., O’Neill, C. Atkins, J., 2014. The Real Cost of Hearing Loss: reducing its impact by increasing access to the latest hearing technologies. Arrowsmith, L. 2014, Hidden Disadvantage: Why people with hearing loss are still losing out at work. [pdf]. CRIDE, 2015. CRIDE report on 2015 survey on educational provision for deaf children in England. [pdf]. NHS England. 2014. Five Year Forward View. NHS England. 2015. Action Plan on Hearing Loss. NHS England. 2016. Commissioning Services for People with Hearing Loss – A framework for Clinical Commissioning Groups. NHS England. 2017. Business plan. Vos, T et al., 2015. Global, regional and national incidence, prevalence, and years lived with disability for 301 acute and chronic diseases and injuries in 188 countries 1990-2013 a systematic analysis for the Global Burden of Disease Study 2013. The Lancet. Vol. 386 (9995) pp. 743–800.